Published by Enitharmon Press in 2012: for more information click here. Blurb: In one astounding month in 1922, the fifty-five Sonnets to Orpheus were “dictated” Rilke says in “the same breath” with which he completed his Duino Elegies. These poems began as a memorial to the dancer Vera Ouckama Knoop, yet they are amongst the most joyful and light-footed poems Rilke ever wrote. “Praising, that’s it!” he declares and goes on to celebrate and enact a renovation of human perception, the healing of the rift between self and other, between life and death that is epitomised in the singing of Orpheus. like a torrent bearing the head and the lyre. 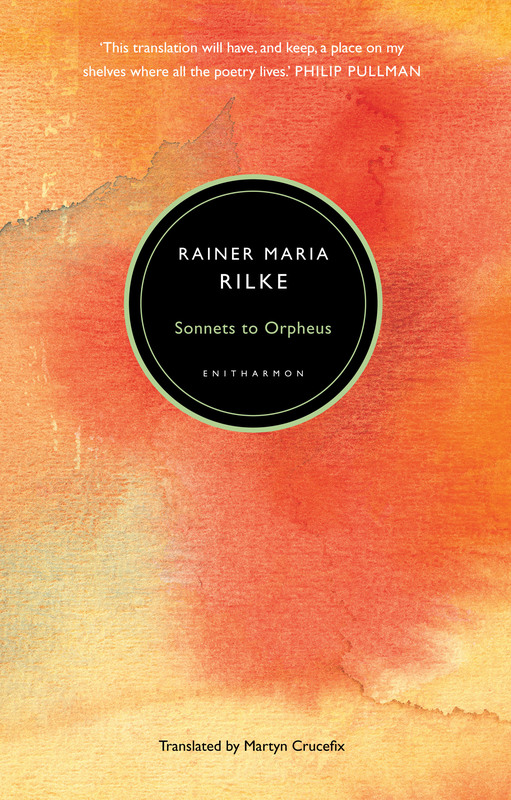 Following his acclaimed translations of the Elegies, Martyn Crucefix’s eagerly anticipated The Sonnets to Orpheus brilliantly catches both the dazzling speed and lyrical grace of Rilke’s masterpiece and his concise commentaries, informative Introduction and parallel German text makes this the ideal edition for readers new to Rilke’s extraordinary work as well as devotees ready to welcome these vigorous, powerful new translations. From this collection . . . There upped a tree. O absolute outstripping! O Orpheus singing! O tall tree in the ear! came a new start, a sign, a transforming. there you built them this Temple of Hearing. come into bloom each year on his behalf. is where there is singing. He comes and goes. for a few days he outlasts the bowl of roses? O yet he must vanish so you comprehend! And even though he fears this disappearing. already he’s where you cannot follow him. Strings of the lyre do not constrict his hands. And he obeys just as he out-plays them.